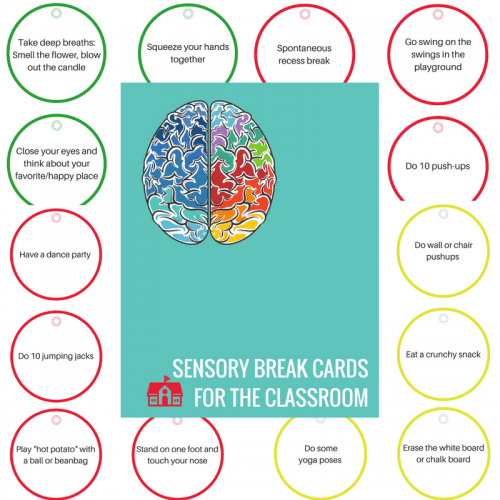 View cart “Sensory Systems Memory Game” has been added to your cart. 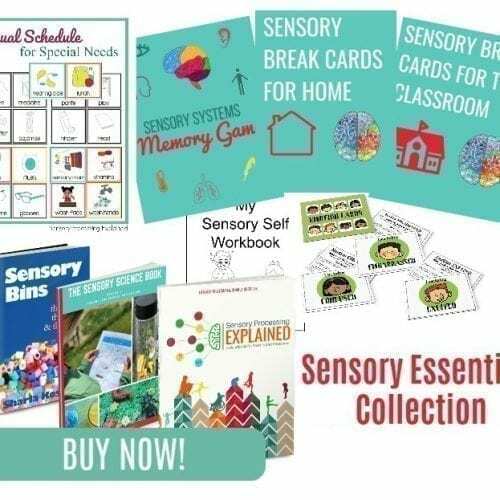 The Sensory Science Book series provide sensory rich science experiments and activities to help kids better retain what they learn. This Volume contains 15 activities in the themes of Colors, The Senses, and Nature. 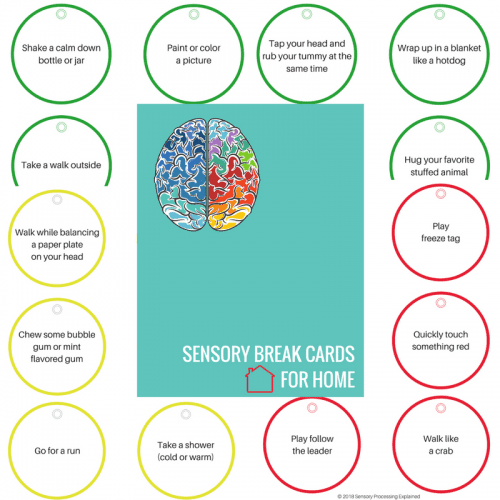 The book includes a supply list, as well as step-by-step directions, activity adaptations and discussion points for each activity. When we engage with the world around us using our senses, we not only gain a richer experience, we retain the information and build important pathways in the brain for higher level learning. 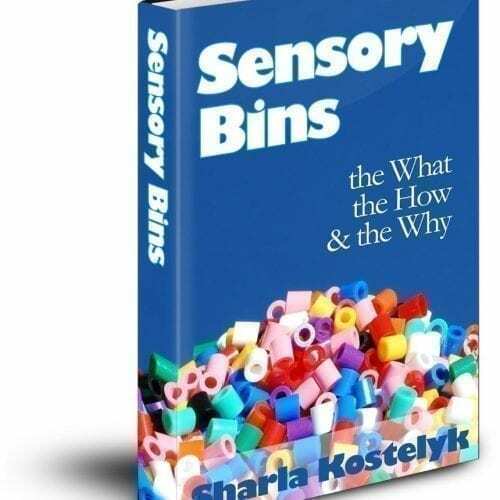 Our goal with this book is to offer you a guide to providing these sensory rich experiments with your children and students. Whether you are a parent at home looking for after school or summer activities, a homeschool parent looking to add in hands-on learning, or a teacher wanting to provide hands-on experiments in the classroom, this book is for you! 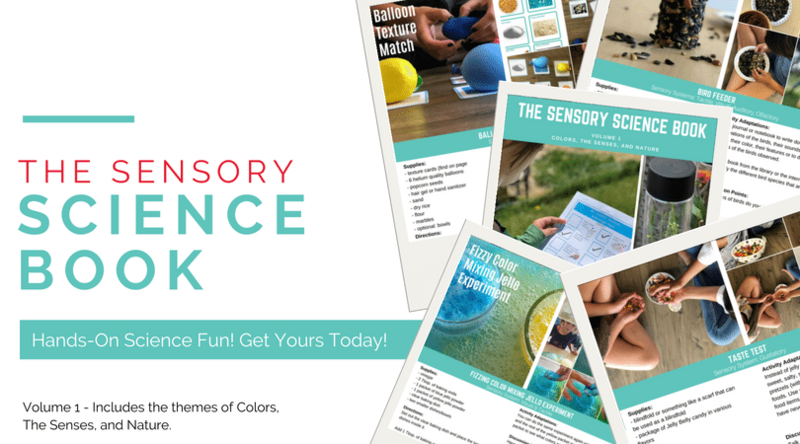 This volume in The Sensory Science Book series covers the themes of Colors, The Senses, and Nature. There are 5 activities for each of the themes for a total of 15 activities. Each activity comes with step-by-step directions, activity adaptations and discussion points. 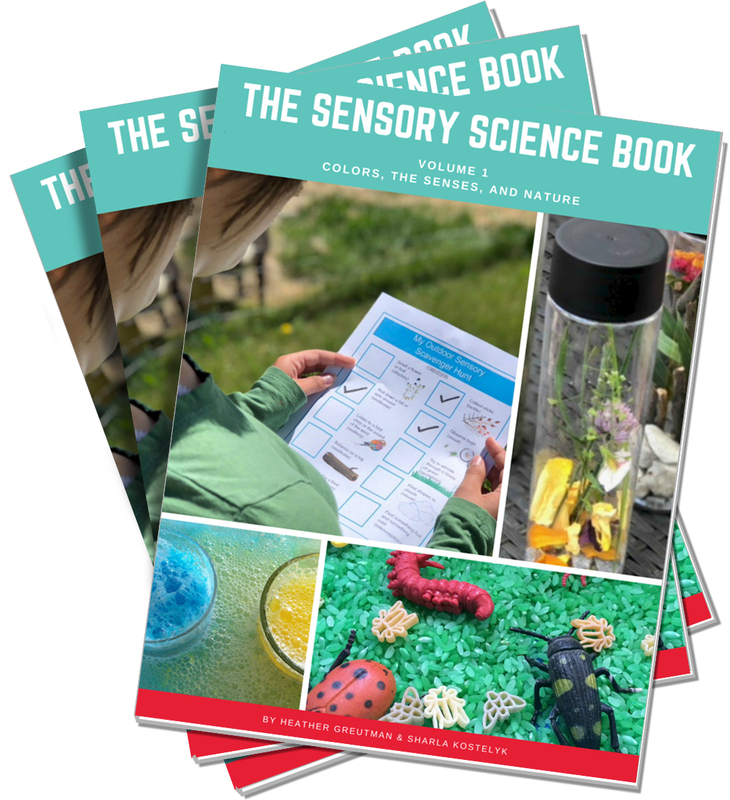 The Sensory Science Book also includes a supply list.